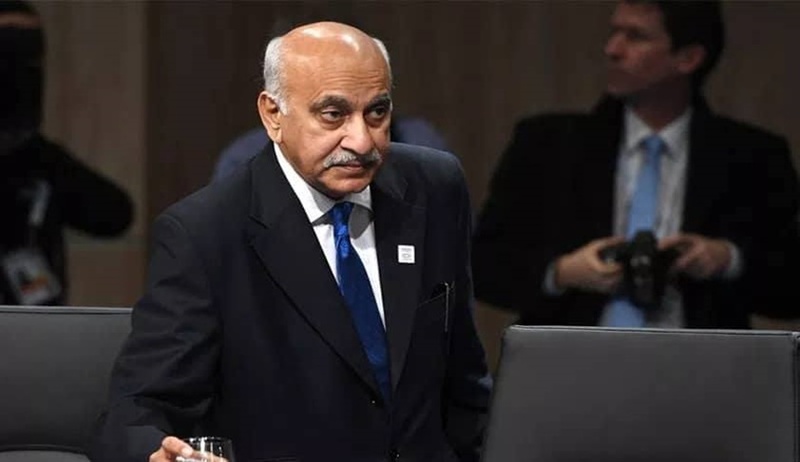 Accused by several women of sexual harassment, Minister of State for External Affairs M J Akbar on Monday filed a defamation complaint before a Delhi court against journalist Priya Ramani, who was the first to level such allegations against him as part of the #MeToo movement. The complaint has been filed before a magisterial court at Patiala House through Karanjawala & Co. through its senior partner Sandeep Kapur along with Principal Associate Veer Sandhu, Senior Associates Niharika Karanjawala, Apoorva Pandey, Mayank Datta and Associate Gudipati G Kashyap. Akbar has in his complaint sought Ramani’s prosecution under Section 500 of the Indian Penal Code “for willfully, deliberately, intentionally and maliciously defaming the Complainant, on wholly and completely false, frivolous, unjustifiable and scandalous grounds and thereby, harming the goodwill and reputation of the Complainant, within the political fraternity, media, friends, family, colleagues and in society at large”. Ramani had recently posted on Twitter how he had in year 2017 written a blog about her harassment by a senior journalist some 20 years ago but not named Akbar in the article. As part of the #MeToo movement, she went on to tweet that the journalist she was referring to was Akbar and that he had made her uncomfortable after calling her for an interview in a hotel room. Following this, many other women took to Twitter to level allegations of sexual harassment against him. Referring to various news articles about the allegations and demands for his resignation, Akbar says in his complaint that he “has never done anything to her (Ramani)”, and that she has “intentionally put forward malicious, fabricated, and salacious imputations” to harm his reputation. The Accused Person, by. way of such publications, has caused great humiliation to the Complainant and his reputation has been severely tarnished in the eyes of the public as well as his family, friends, colleagues, political fraternity and associates; the defamatory statements of the Accused Person have, thereby, irreparably damaged the reputation and standing of the complainant,” says Akbar, an MP from Madhya Pradesh. He says Ramani has “resorted to a series of maliciously fabricated allegations, which she is diabolically and viciously spreading using media” and the “false narrative against the Complainant is being circulated in a motivated manner and for the fulfillment of an agenda”. The complaint further says that Ramani herself, while putting forward the “defamatory statements, relating to incidents which allegedly occurred 20 years ago, simultaneously admits that the complainant has not done anything to her. It is pertinent to mention that the conduct of the Accused person, of not taking any action before any authority, qua the alleged incident against the Complainant also clearly belies the sanctity of the article and allegations made by the Accused person, which evidently goes on to prove that the said defamatory articles are only a figment of her imagination and are only intended to malign the reputation of the Complainant”.